Few things fascinate gamers as much as mental powers - the ability to read (or control) minds, to move physical objects with just a thought, to foresee the future, to fight entire battles in one's mind. But while intriguing, psionic abilities can also prove difficult to handle in a gaming context, due to the potential for overwhelming power. 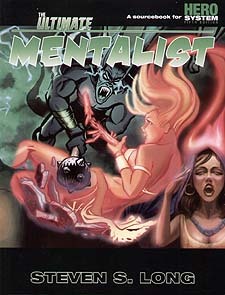 Creating and playing a mentalist character can be a real challenge. Prepare to have your mind expanded by The Ultimate mentalist!